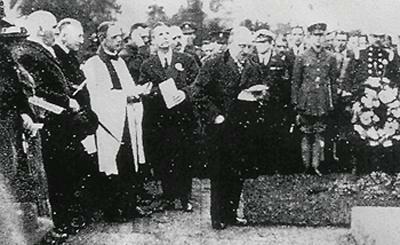 On a damp afternoon in March 1921, the plaintive notes of the Last Post, played by a lone bugler of the 7th Battalion, The Royal Warwickshire Regiment, signalled the end of the commemoration ceremony of the war memorial to sixty-six employees of the Triumph and Gloria Company who fell in the Great War. Several hundred people looked on, as the memorial, raised by subscriptions from the workforce, was unveiled by the small, bespectacled figure of German-born Siegfried Bettmann, who had founded the company some twenty-five years earlier. Bettmann had been born in Nuremberg in 1863, and, after a classical education, came to Britain to seek his fortune. After a brief business venture in London, he joined forces with another German national, Mauritz Johann Schutze and came to Coventry, then the centre of the bicycle manufacturing industry, to set up a bicycle business at the Gloria Works in Much Park Street. Bettmann and his partner worked hard in the ensuing years to ensure the business prospered and by 1896 had opened a second, and much larger premises in Priory Street known as the Triumph Works, a name which later was to become internationally famous. Despite his German origins, Bettmann was determined to make himself a Englishman in every respect. Fluent in several languages he perfected his English, married a local woman, Annie Meyrick – always known as Millie- became a naturalised Briton and threw himself into almost every aspect of Coventry life. He became a member of a local branch of the Freemasons, entered the political arena by joining the Liberal Party and became a local councillor and a Justice of the Peace. By the outbreak of war he was a much respected figure, having been elected as Mayor in 1913, the first non-British subject to hold such a position and, at the outbreak of war, was Mayor elect for a second term, unopposed. His business had prospered as well. More of a salesman than an engineer- this side of the business was left to Mauritz Schulze and his factory manager Charles Hathaway – he had expanded into motor cycles in 1903 and by the beginning of the war the “Trusty Triumph” was known to many motorcycle enthusiasts as well as the War Office. A few days before the outbreak of war an army captain from the War Office called a meeting of local industrialists at St Mary’s Hall, warned them of the impending conflict and asked them to be ready to put their resources at the disposal of the military. All, including Bettman, agreed. Two weeks after Britain had declared war on Germany, Bettmann received a phone call from Capt. C. V. Holdsworth of the Army Service Corps, (later to become Triumph’s Managing Director) , and a staff officer at the War Office, asking the Company to provide a hundred Triumph motorcycles for the BEF who were shortly to go to France. They were to be delivered to an army camp in the south of England within forty-eight hours. Despite being a Saturday afternoon, Bettmann and his partner managed to round up some factory foremen and an assortment of workers and laboured non-stop to crate the required machines. By Sunday evening the motorcycles, with the help of transport provided by other local manufacturers, were delivered to Coventry railway station in time for the evening train. Despite his willingness to serve his adopted country, Bettmann soon fell foul of the anti-German hysteria that abounded in the first months of the conflict. On the eve of war he received a message from the Chief Constable, Charles Charlsey, to call on him urgently. On his arrival he was told that the country would be at war the following day and he was required to inform the Home Office of the fact that he (Bettmann) was a German by birth. Fortunately Charlsey was a man who believed in fair play and justice and stood by Bettmann and as a result he avoided the internment that was to befall others in similar situations across the country. Unfortunately he was not so well treated by others. As well as being chairman of the Triumph and Gloria Company, he also held the same position at the Standard Motor Company. Within a few weeks of Britain’s entry into the war, he was forced out by the board on the grounds of his German birth and shortly afterwards was forced to resign from his Masonic lodge for the same reason. To avoid further trouble, Bettmann appointed English directors to the board of Triumph- up to this point there were three German directors including Bettman – and appointed Lord Leigh as Chairman. Attacks on Bettmann continued however. The Cycle Manufacturers Union, founded by him, attempted to expel him; gossip at his club caused him to resign; erstwhile friends deserted him and there were personal attacks on him in the “Daily Mail”. After one of these, in which he was falsely accused of sending company profits to Germany, he sued and was awarded damages of one hundred and forty guineas. Despite these attacks, he continued to support the war effort. He arranged for the use of the then uninhabited Whitley Abbey house to be used for Belgian refugees. He supported the Prince of Wales’ National Relief Fund, personally subscribing £250 and similarly a British Red Cross Society appeal, for which he initiated a fund, was presided over by his wife Millie. Back at the factory the demand for military manpower started to take its toll almost immediately. A number of employees had been regular soldiers with a reserve commitment or special reservists and had received their call-up papers with a few hours of the outbreak of war. Worried about their families, they attended a meeting with Bettmann appealing for him to look after their families whilst they were away. Amongst these men was Leamington-born Frank Harris who was become the company’s first fatality. Born in 1883 he had served in India with the regular army and was recalled to his unit, the 1st Bn, The Royal Warwickshire Regiment, in August 1914. Frank Harris was killed in action at Meteren in France on 13th October1914 when the battalion launched a two company attack in attempt to drive out the German defenders from the village. He was amongst forty-two men killed during the assault. Another casualty at Meteren that day was a young subaltern, Bernard Law Montgomery, who seriously wounded in the chest. The following year brought a fresh crop of casualties as the German army sought to make a breakthrough on the Western Front. Pte John Brislin, employed at the factory as a fitter, and serving with the local territorial battalion, 1/7th Royal Warwick’s near Wulverghem, Belgium, was killed in May 1915. The battalion war diary noted his death almost casually: “A very fine day. NE wind, quiet after work of yesterday. Casualties, Pte Brislin killed and two others wounded.” His mother received a letter of condolence from his commanding officer, Major (Brevet Lt Col) James Knox: “I am writing to express my deepest sympathy with you in the loss of your son Private Brislin who was killed in action on the 10th of May. His company officer gives him the best of characters, and informs me that his death is a great loss to the Company…..” Major Knox was also to lose his life some two years later in Italy. Another mother to receive a dreaded letter was Mrs Piggott, whose son Albert was serving in the same battalion as John Brislin. Employed as a polisher at the factory, Pte Piggott had enlisted in November 1914. His platoon commander, Lt Brian Ash, wrote: “However keen your loss may be to bear, remember that your son died cheerfully for his country, which is the most glorious death a man could die.” His death was far from “glorious”. On the 25th June 1915 the battalion was manning trenches at “Plugstreet” Wood, Belgium. German patrols were active in the area and an attack was expected but failed to materialize. Thunderstorms broke overhead and the troops spent an uncomfortable day in the wet. “During the day” the war diary recorded “Pte Piggott and Pte Hutchins were killed when a bomb landed in the hole they were using for cover.” More names would be added to the casualty list before the year was over. Before the year was out another tragedy was to strike the company, with the death of the works manager Charles Walter Hathaway. Hathaway had held this post from the beginning and was held in much esteem by Bettmann, the workforce and the local community alike. His death at the age of fifty-one, after an operation, was a sad loss to all concerned. Nevertheless, it did open the way for the employment of women at the Priory Street works, at a time when many men were away in the forces. Hathaway had always refused to employ women as he believed that they could not assimilate the engineering skills required. Indeed, such was his resistance to female workers, that he had the advertising literature published with the words “No female labour here”, in an attempt to reassure prospective customers of the quality of Triumph’s work. By early 1916 however, women were being employed in a variety of jobs including the assembly of artillery fuses. Just a few months after his death, the Hathaway family were to receive a second blow when their son was killed in action on the Western Front. Sydney Cornelious Hathaway, following in his fathers footsteps, had been employed at the factory as a pupil engineer. In October 1915, just three months after the death of his father, he enlisted as a private in the Motor Machine Gun Corps. By the end of the year he had transferred to the Royal Flying Corps and in January 1916 was serving as an observer with 11 Squadron on the Somme. On the 12th of January he set off on a reconnaissance mission in an FB5 aircraft piloted by Lt H.T. Kemp. Some time into their mission they had the misfortune to be attacked by the German ace Max Immellman and the aircraft was brought down near Beaumetz Lt Kemp survived the action and was captured, but a local newspaper, “The Coventry and Warwickshire Graphic”, reported that Mrs Hathaway, had received news that her son too was a prisoner of war. Sydney in fact had been killed in the attack, but how the confusion arose is not clear. Presumably his unit, on hearing of the pilot’s capture, had assumed that the same fate had befallen young Hathaway. The same year also saw the death of a number of other company employees, many during the Somme battle, including : L/Cpl Frank Brown, 2/7th Royal Warwicks aged 19, employed as a fitter; Pte Thomas Cronin killed at Bazentin-le-Petit, serving with 2nd Royal Warwicks, a motor cycle builder . Two men from the factory died on the same day in September: Pte Charles Dixon, 7th Duke of Cornwall’s Light Infantry, a machinist, who died of wounds received at Delville Wood and Pte Charles North, from the same department serving with 15th Royal Warwicks The mournful list would continue. 1916 also brought a personal tragedy to Siegfried Bettmann, with the death in action of his nephew , Arthur Meyrick Bones. Bettman, a stern disciplinarian and a firm believer in family loyalty, promised to look after Meyrick, as he was known, when his father, Arthur, left for South Africa to try and recover his fortunes after the failure of his business. As a Freemason, Bettman was able to secure a place for him at the Masonic School at Bushey in Hertfordshire, however, after a promising start, he was expelled. Determined that he should continue with his education, Bettman obtained a place for him at the King Henry V111 Grammar School in Coventry but again he proved to be disappointment, Bettman noting in his memoirs that Meyrick’s conduct, in and out of school, had been “unacceptable.” After a period of employment at Triumph he left to join his father . Life in South Africa must have suited his wild spirit and on the outbreak of war he joined the 4th Battalion, South African Mounted Rifles. In 1914 he was reported as being killed in action but in fact had been captured and escaped. He was eventually killed in October 1916, whilst serving with the Namaqualand Field Force at Iringa, Tanganyika, attached to the 1st King’s African Rifles. Charles Graham was killed in September 1916 when his aircraft accidentally crashed into the North Sea whilst flying from RNAS Great Yarmouth. 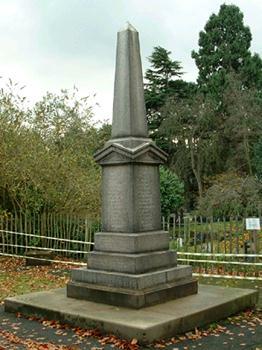 His body was eventually recovered and buried in his home town of Barnes, Surrey. As the war drew on, Bettmann, despite holding the Managing Director’s post, had much of the day-to-day responsibility for the factory taken from his hands, and he cut a sad and lonely figure, effectively isolated in his Priory Street office. Nevertheless the company was benefiting from the large military contacts that had been placed. The Model H motorcycle produced by the factory was used in large numbers by despatch riders and the production of the 550cc machines was increased to 70 per week during the war period, with some 30,000 bikes supplied to the Army alone during the course of the war. During 1917, the commercial success of Triumph continued to rise, but so did the casualty roll of employees: Pte George Bell 1/6th Royal Warwick’s from the packing department; Pte Percy Clarke, 14th Royal Warwicks, a bricklayers labourer from the Maintenance Department; Pte RJ Howe, 1/5th Bn Royal Welsh Fusiliers, machinist, drowned when the troopship Transylvania was torpedoed off Savona, Italy; Bombardier Herbert Wood, Royal Field Artillery, motorcycle builder, killed in Belgium. Another employee, Pte Albert James, aged 20, was serving with 14th Royal Warwicks when he met his death in the terrible conditions at Passchendaele towards the end of the year. The battalion was at Bedford House near Zillebecke when on 26th October 1917, they were ordered to assemble for an attack in platoon waves. They had few casualties until “C” Company reached a clearing north of Zillebecke Chateau when machine gun fire cut down all of the officers and some men. The chateau was taken and a counter-attack was repulsed, but there was to be little respite. At 1000hrs the enemy counter-attacked again. In danger of being outflanked and with heavy casualties, they withdrew under intense shell fire. The battalion war diary noted: “conditions indescribable, men sinking waist deep in the going.” They were relieved at 0125hrs on the following morning. 119 men were wounded, 39 missing and 31 killed, including Albert James. Perhaps the saddest of all deaths that year was that of eighteen-year old Pte Ernest Ball serving with the18th Battalion, Royal Warwickshire Regt, a home service unit, who died in Ranelagh Road Military Hospital, Ipswich, of wounds received during bayonet practice. Earlier that year, industrial action had struck engineering factories across the city. There were a number of reasons for the strikes, including the refusal of employers to recognise shop stewards committees and demands for increase in pay. At Priory Street, Bettmann was determined to keep his factory open. At one point, a deputation of workers equally determined that the strike would remain solid, trapped Bettman in his office with intention of closing the factory down. His refusal to concede brought threats of reprisals and a sharp reminder of the vulnerability of his position in wartime Britain. Writing in his journal, Bettmann was amazed that “they would strike for more wages when their sons and brothers were prepared to fight in the mud of Flanders for a cause they did not understand”. When the strike ended some days later, the same deputation returned to apologise for their behaviour. As the war entered its final year, the losses of the company workforce continued to rise, on and off the battlefield. Pte T Kimberley of 1st Royal Warwicks, a cycle finisher, enlisted in May 1918 and was killed just five months later in France. Far from the front, 2nd Air Mechanic Ernest Harrow RAF, an iron polisher, who had survived the trenches with the Royal Warwickshire Regt, was accidentally killed by an aeroplane near Oxford whilst serving with No 24 Training Squadron. Another Triumph man killed that year was 2Lt Patrick Joseph Ryan. A turner by trade, Patrick Ryan had been a reservist and was recalled to the colours in 1914. Having seen service in the Dardenelles and Salonika he was commissioned into the 1st Battalion Royal Warwicks in 1917. On the 21st of March 1918, Colonel Bruchmüller’s artillery launched a fierce bombardment on the troops of General Gough’s Fifth Army marking the opening of Operation Michael which was to drive the British back almost to Amiens, over the old Somme battleground of 1916. Using the cover of the early morning mist, German assault troops bypassed the line of British redoubts to cause chaos in the rear areas. Some battalions stayed at their posts until they were overran, others, realising the futility of their situation retreated. It was in this confusion that 2Lt Ryan was seriously wounded. Patrick Ryan’s wife, Rose, knew little of the fate of her husband other than the official telegram that informing her that her husband was “missing presumed killed.” After the war she spent considerable time and effort trying to ascertain his fate. Sometime in 1919 she received a letter from a stretcher bearer who had tended him in his final hours. Whilst carrying him from the battlefield the small party had been captured by a German patrol, who themselves had a wounded comrade. Believing that Patrick Ryan’s wound was fatal, they ordered the stretcher bearers to leave him and carry their own casualty towards the German lines. 2Lt Ryan’s body was never found and he is commemorated on the Arras Memorial to the Missing. Several other men were to fall in the final months of the war and the tragedy continued until the final moments when Pte Horace McKnight of the 1/6th Seaforth Highlanders, who like PJ Ryan, was a turner at the Triumph Works, died of his wounds in France on the 11th November 1918. Despite his treatment during the war, Bettmann did not forget the servicemen who had fought in it, nor the devotion of his wife. In November 1914 he established the Annie Bettman Foundation, to assist young men and women between the ages of eighteen and forty who wished to start up in business with preference to be given to ex-servicemen who had served during the Great War. The fund, still in existence, was later extended to include grants for further education. The coming of the armistice did little to ease his burdens however. The post-war recession and internal wranglings within the company eventually led to him leaving in 1934, severing all connections with Triumph. On that grey afternoon in March 1921, on the East Terrace of London Road cemetery, Siegfried Bettmann, in his address to company employees and relatives, likened the deeds of the Triumph war dead to the heroic stand made by Leonidas and the Spartans who fell at Thermopylae over two-thousand years before. No doubt he would have also known of the words of the Greek poet Simonides who wrote of those ancient warriors “Go, tell the Spartans, thou who passest by, that here obedient to their laws we lie.” A fitting tribute as well perhaps, to the early twentieth century industrial warriors of the Triumph and Gloria Company. Copyright © Terry Reeves, November, 2003.